Best way to find the best is to discuss more - net neutrality is a conundrum of kind. FCC chairman Mr Pai, known for his quick and fast decision making capabilities and abilities, said here in INDIA IMC 2018, that he does not support ban on paid -prioritization. He is known for turning down the Obama govt decree on net neutrality. he advocated here for anti-competitive prioritization and pro-competitive prioritization, citing the case by case, like pro-competitive is about health care specific traffic like remote surgery etc, and anti-competitive for undue competitive advantage. But strictly opposed a blanket ban on paid prioritization. The issue of companies getting access to faster lines on the internet by making payments - known as paid prioritisation - has been widely debated across the world and is seen as going against the tenets of net neutrality. While India has widely accepted the net neutrality principles in the recommendations made by telecom regulator Trai. Asked whether there should be control and monitoring of content on the internet, especially in the era of fake news, he said that curbing the freedom of speech does not hold much merit. "As one of the justices of our Supreme Court once said, the best solution to speech that you don't like is more speech. It is incumbent upon people to counter views that they find false or repugnant… It is not upon the government to say, based on standards that are impossible to define, with any precision about what news should be allowed to publish." In its recommendations on net neutrality given to the government last year, Trai had said internet access in India should remain non-discriminatory and telecom companies and internet providers should place no restrictions in the delivery of content through practices such as throttling of speeds, blocking, paid prioritization or preferential treatment. Trai, however, had made an exception only for "specialized services or other exclusions" while also allowing "reasonable traffic management practices" to telecom companies to give them space for managing quality of services. PHAZR cleared FCC and CE approvals for 5G commercial roll outs of it millimeter vRAN Solution. ALLEN, Texas, Oct. 17, 2018 /PRNewswire/ -- PHAZR, Inc., the only US-based 5G virtualized radio network (vRAN) provider, announced today that it has received FCC/CE certification for commercial deployment of its 5G millimeter wave base stations in the US and Europe. PHAZR's 5G vRAN boasts Cliff ComputingTM, where massive antenna arrays, RF and baseband functions are integrated into a single physical unit reducing latency and eliminating the need for expensive fronthaul. This unique approach of pushing compute into the antenna units enables advanced capabilities such as fully digital Hyperdense® beamforming that packs dozens of beams across a 120-degree sector. The RF front-end is highly programmable and capable of supporting frequency bands in the 24 GHz to 40 GHz range with dual polarized multi-antenna arrays. "PHAZR is the first 5G solutions provider to be granted both FCC and CE certification for millimeter-wave radios. We are very pleased to receive these compliance certifications, which allows us to offer 5G products for early commercial deployments with customers in the US and Europe," said Farooq Khan, CEO of PHAZR. PHAZR's certification covers operation in the 27.5-28.35 GHz, as well as the 31.8 – 33.4 GHz bands. Phazr used Radisys gNB software for developing its cloud native vRAN Solution, Solution is said to be rel 15 compliant. "We are pleased to have selected Radisys for its industry-leading 5G gNB and vRAN protocol solutions," said Farooq Khan, CEO, PHAZR. "PHAZR is one of the select vRAN providers chosen for early 5G trials and deployments by major mobile operators in the U.S. and in Europe. We wanted to partner with a protocol stack provider that is nimble in rolling out new standards-based features, as well as provide maturity and stability in its underlying engine. Radisys has helped augment PHAZR's 5G solution that leverages ground-breaking capabilities such as Quadplex®, Cliff Computing™ and HyperSON® for large-scale vRAN deployments." Service providers globally are looking to accelerate deployment of 5G solutions. 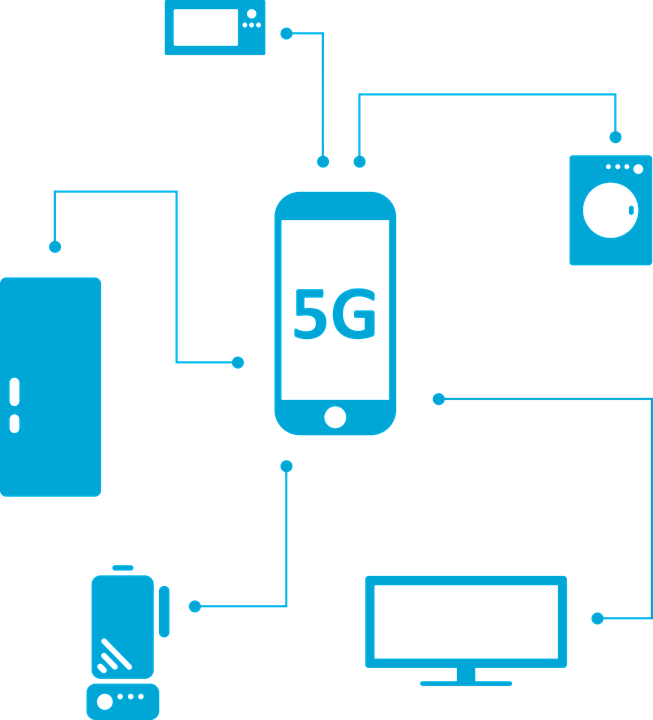 PHAZR's advanced 5G portfolio is being trialed today by three of the four major U.S. mobile operators with commercial solutions targeted for early 2019. Radisys' gNB software provides key capabilities to enable PHAZR to successfully complete the 5G New Radio trials already underway. The gNB software is compliant with 3GPP Release 15, providing support for millimeter wave and sub-6 GHz frequencies that pairs well with PHAZR's Quadplex® technology. PHAZR is also leveraging Radisys' 4G vRAN / Evolved Packet Core (EPC) for Non-Standalone (NSA) and 5G Next Generation Core (NGC) for Standalone (SA) solutions. Qualcomm Technologies, Inc., a subsidiary of Qualcomm Incorporated (NASDAQ: QCOM), today announced a family of 60GHz Wi-Fi chipsets, the QCA64x8 and QCA64x1, delivering 10+ gigabit-per-second (Gbps) network speeds and wire-equivalent latency, while setting the industry low-power benchmark for extended device battery life. 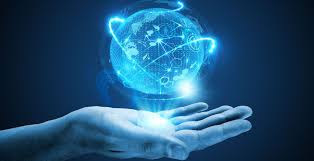 As a new connectivity era dawns, reliance on high-bandwidth mmWave spectrum will increase, bringing powerful new wireless experiences like ultra-high-definition video streaming, Virtual/Augmented Reality (VR/AR), mobile screen casting and fixed wireless mesh backhaul. Qualcomm Technologies' 60GHz Wi-Fi portfolio has the flexibility to meet those challenging demands while harnessing unique capabilities that support new 60GHz Wi-Fi Sensing applications like proximity and presence detection, gesture recognitions, room mapping with precise location and improved facial feature detection. Qualcomm Technologies is the first-to-market with a 60GHz Wi-Fi solution with optimizations based on the 802.11ay specification, enabling best-in-class 60GHz Wi-Fi speeds and unmatched coverage performance. "mmWave holds enormous potential to support a new class of user experiences, and Qualcomm Technologies is leading the charge with both its Qualcomm® Snapdragon™ X50 5G NR modem family and unlicensed 60GHz Wi-Fi mmWave solution," said Rahul Patel, senior vice president and general manager, connectivity and networking, Qualcomm Technologies, Inc. "Our 11ay solutions were developed with the flexibility to support a broad ecosystem of smartphone, router or fixed wireless access platforms and provides the industry with the critical building blocks needed to take connectivity performance to the next level." Qualcomm Technologies' industry-first family of 11ay 60GHz Wi-Fi chipsets includes QCA6438 and QCA6428 for infrastructure and fixed wireless access, and the QCA6421 and QCA6431 for mobile applications. Earlier this year, Qualcomm Technologies, and Facebook announced they are working together to deliver high-speed internet connectivity with Facebook's Terragraph technology through the development of a multi-node wireless system based on the QCA6438 and QCA6428 chipsets. Distinct from the 2.4 and 5GHz bands commonly used in Wi-Fi networks all over the world, mmWave-based 60GHz Wi-Fi is a low interference, bandwidth-rich spectrum that delivers increased wireless capacity, multi-gigabit speeds, and ultra-low latency. These attributes make 60GHz Wi-Fi ideally suited across a wide range of wireless ecosystems spanning mobile, enterprise, outdoor backhaul, and the smart home. "We are excited to work with Qualcomm Technologies to develop 60 GHz solutions based on Facebook's Terragraph technology and Qualcomm Technologies' chipsets," said Anuj Madan, Product Manager at Facebook. "By enabling service providers to offer high-quality internet connectivity in dense urban and suburban areas, this collaboration supports our work to bring more people online to a faster internet." "As consumers all around the world are increasingly relying on mobile devices to power their gaming and entertainment activities, they expect seamless experiences powered by unrivalled speed and ultra-low-latency," said Bryan Chang, General Manager of ASUS Mobile Business Unit. "Our latest line of Republic of Gamers (ROG) mobile devices are designed specifically to meet these high-performance mobile gaming needs while leveraging Qualcomm Technologies' existing 60GHz Wi-Fi solutions. We are happy to see Qualcomm Technologies continue their innovation on 60GHz Wi-Fi technology." Signature attributes of 60GHz Wi-Fi go far beyond high performance throughput, as Qualcomm Technologies' new chipsets enable unique, always-on ambient Wi-Fi sensing capabilities, enabling devices to identify people, objects, movements and precise location without being affected by light conditions. Networking and mobile devices alike can take advantage of these new Wi-Fi sensing features to provide new and differentiated experiences to end users. "802.11ay brings unprecedented connectivity for wireless devices, providing the best-to-date alternative to cable and fiber," said John Tully, chief executive officer, MikroTik. "Qualcomm Technologies' new family of 11ay 60GHz Wi-Fi solutions helps us enable countless new use cases across the Enterprise." Qualcomm Technologies' new 60GHz Wi-Fi chipsets, the QCA64x8 and QCA64x1 are available today. 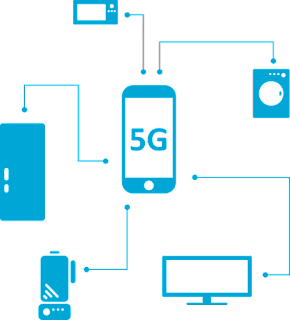 Massive MIMO (mMIMO) and beamforming are buzzwords widely used in the telecom industry when referring to 5G and latest advancements of LTE. The challenge is that MIMO comes in many different variants, some of them having been in use already for years in legacy LTE networks. 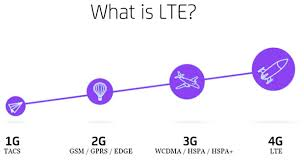 In legacy LTE, the term MIMO usually refers to Single User MIMO (SU-MIMO). In Single User MIMO, both the base station and UE have multiple antenna ports and antennas, and multiple data streams are transmitted simultaneously to the UE using same time/frequency resources, doubling (2×2 MIMO), or quadrupling (4×4 MIMO) the peak throughput of a single user. In MU-MIMO, base station sends multiple data streams, one per UE, using the same time-frequency resources. Hence, MU-MIMO increases the total cell throughput, i.e. cell capacity. The base station has multiple antenna ports, as many as there are UEs receiving data simultaneously, and one antenna port is needed in each UE. The signal is pre-coded (amplitude and phase modifications) in baseband processing before RF transmission. Multiple beams (one per each user) can be formed simultaneously from the same set of antenna elements. In the context of LTE/5G, MU-MIMO equals to digital beamforming. Multiple TRX chains, one per each simultaneous MU-MIMO user, are needed in the base station. Digital beamforming (MU-MIMO) is used in LTE Advanced Pro (transmission modes 7,8, and 9) and in 5G NR. Digital beamforming improves the cell capacity as the same PRBs (frequency/time resources) can be used to transmit data simultaneously for multiple users. The signal phases of individual antenna signals are adjusted in RF domain. Analog beamforming impacts the radiation pattern and gain of the antenna array, thus improves coverage. Unlike in digital beamforming, only one beam per set of antenna elements can be formed. The antenna gain boost provided by the analog beamforming overcomes partly the impact of high pathloss in mmWave. Therefore analog beamforming is considered mandatory for the mmWave frequency range 5G NR. Hybrid beamforming combines the analog beamforming and digital beamforming. It is expected that mm-wave gNB (5G base station) implementations will use some form of hybrid beamforming. One approach is to use analog beamforming for coarse beamforming, and inside the analog beam use a digital beamforming scheme as appropriate, either MU-MIMO or SU-MIMO. The most commonly seen definition is that mMIMO is a system where the number of antennas exceeds the number of users. In practice, massive means there are 32 or more logical antenna ports in the base station It is expected that NEMs will start with a maximum of 64 logical antenna ports in 5G. Figure 2 illustrates how mMIMO works in practice. An antenna array of 50 omni elements, with ½ wavelength spacing in between the antenna elements is used. The 50 elements transmit 4 distinct streams of data via 4 logical antenna ports, one stream for each UE. All four streams are transmitted using the same physical resource blocks, i.e. the same time/frequency resources. The data streams do not interfere between each other because each of them has a distinct radiation pattern, where the signal strength in the direction of the target UE is optimized, and in the directions of the other UEs (victim UEs) the signal strength is minimized. In MU-MIMO/mMIMO, the base station applies distinct precoding for the data stream of each UE where the location of the UE, as well as the location of all the other UEs, are taken into account to optimize the signal for target UE and at the same time minimize interference to the other UEs. To do this, the base station needs to know how the downlink radio channel looks like for each of the UEs. The coverage is beam-based in 5G, not cell based. There is no cell-level reference channel from where the coverage of the cell could be measured. Instead, each cell has one or multiple Synchronization Signal Block Beam (SSB) beams, see Figure 3. SSB beams are static, or semi-static, always pointing to the same direction. They form a grid of beams covering the whole cell area. The UE searches for and measure the beams, maintaining a set of candidate beams. The candidate set of beams may contain beams from multiple cells. The metrics measured are SS-RSRP, SS-RSRQ, and SS-SINR for each beam. Physical Cell ID (PCI) and beam ID are the identifications separating beams from each other. In field measurements, these metrics can be collected both with scanning receivers and test UEs. Hence, SSB beams show up as kind of new layer of mini-cells inside each cell in the field measurements. As can be seen from Figure 3, the different SSBs (beams) of a cell are transmitted at different times. Therefore, there is no intra-cell interference among the SSB beams, and at least the scanning receivers should be able to detect also extremely weak SSB beams, even in presence of a dominant, strong beam from the same cell. As an example, let’s imagine a place of poor dominance in an LTE network, where a scanner or a test UE detects reference signals from 6 different cells. If it were a 5G network, the device could see, for example, six beams of each sox cells, in total 36 reference signals. Provided of course that the scanner or test UE is fast enough to catch all these signals. The performance of the UEs as well as scanners is yet to be seen both in the spec sheets and in practice. 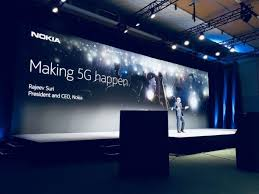 Of course, it must be kept in mind that 5G can operate without beamforming, in which case there would be one SSB beam covering the whole cell area, and all the coverage testing methodology would default back to same as in LTE as SSB beam equals to cell in that case. Capacity gain is achieved only when multiple UEs are generating downlink traffic simultaneously. There are many variables impacting the real-life gain provided by the mMIMO. The spatial distribution of cell users has a big impact. Ideally, the UEs should be scattered across the cell area. If all users are packed in the same location, for example around the same table in a cafeteria, it becomes impossible to isolate the users to different beams that do not overlap. The minimum horizontal and vertical spatial separation between UEs may differ depending on the number of physical antenna elements in the gNB antenna panel in the horizontal and vertical dimensions.. The signa- to-noise-ratio of each user, as well as the multipath propagation profile impact the achievable performance. The scheduling decisions, as well as whether MU-MIMO is to be used or not, are done by every 1ms slot by the gNB. The gNB scheduling and link adaptation algorithms are proprietary, not defined in 3GPP. Hence it is an area where the network equipment manufacturers can differentiate from each other. The performance of the mMIMO has a major impact in the system capacity of the 5G network. Hence, it is in the best interest of the operators to verify the field performance of massive MIMO implementations as part of the vendor selection and network acceptance processes. When testing the capacity gain of mMIMO, there needs to be multiple test UEs distributed in the cell area, each performing active bulk data transfer testing against a test server simultaneously. As part of the test setup, it is important to ensure that the core network and backend server have sufficient bandwidth, so that the radio interface is the only bandwidth bottleneck during the test. Multi-threaded data download can be used in the tests to remove sub-optimal impacts of TCP flow control. The different scenarios to be tested may include UEs close to each other to test the threshold spatial separation where mMIMO can still provide gain, vertical distribution of UEs (one in each floor of a high-rise building), horizontal distribution of UEs, line of sight UEs vs non-line of sight UEs with rich multipath propagation environment, cell edge vs. cell center, moving UEs, or any combination of the above. The new Cloud NAT, fully managed by Google, simplifies the process. 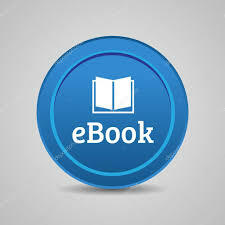 It allows users to provision application instances without a public IP address, while also allowing them to access the internet for things like patching and updates. Outside resources cannot directly access these private instances behind the Cloud NAT gateway, which keeps these instances secure. It uses Google's SDN platform Andromeda with no managed middle proxy. "What that means is there is no chokepoint in your network," said Prajakta Joshi, senior product manager for cloud networking at Google Cloud. "You get high performance and scale, and under the hood there is no middle proxy. 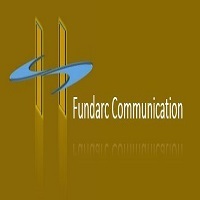 It is fully software-defined." It also supports both Google Compute Engine virtual machines (VMs) and Google Kubernetes Engine (GKE) containers. This speaks to Google's two goals for growing its enterprise customers that it wants to address with all of its new cloud services. 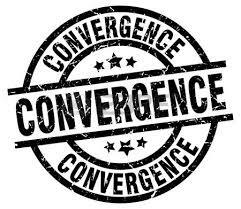 Nokia OPEN approach for Network slicing may bring the right convergence for a wider network horizon. This is one idea which will aid the deployment of future proof networks, though network slicing could also help co-operative efforts and co-investment from competitors. The physical deployment of the network can be shared between any number of telcos, with each then claiming their own 'slice' which can be managed and configured independently. Openness and collaboration seems like a nice idea, though few competitors can play nice unfailingly, but with network slicing they only have to for a set period of time (in theory) before turning their attention to their own business.